Growing up in Southern California, my list of comfort foods doesn’t consist of the American classics like mac n’ cheese, fried chicken, or chicken pot pie. What really makes me feel like I am home is homemade Mexican food. 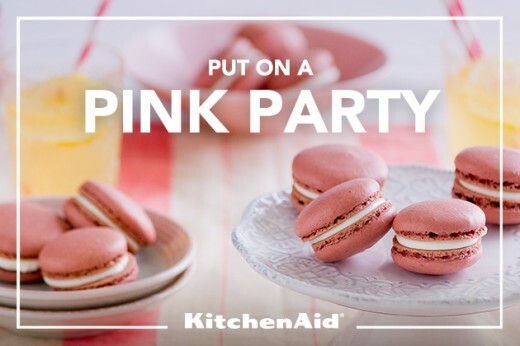 After learning more about why KitchenAid had asked me to throw a pink party, my point of view on incorporating the color pink at my party totally changed. 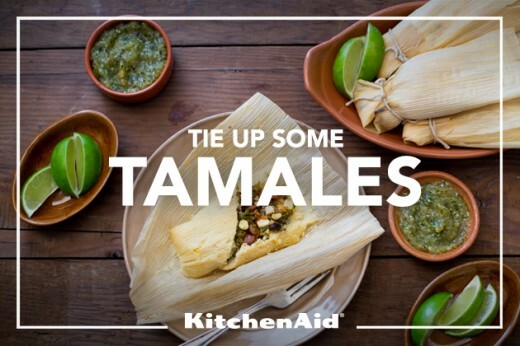 The KitchenAid campaign 1,000 Cooks for the Cure urges us to channel our passions. I can count on two hands the list of my favorite foods; bouillabaisse is one of them. Anytime I go to a restaurant and there is bouillabaisse on the menu I order it. 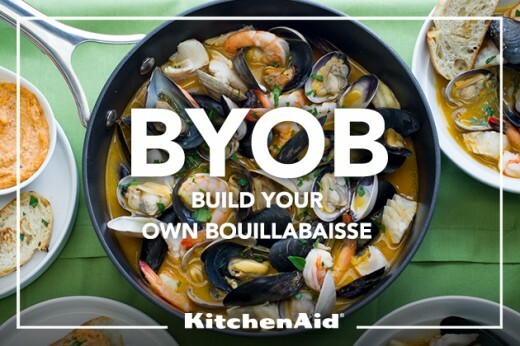 What I love most about bouillabaisse is the intense and varied flavors you get from something that looks so simple. A great bouillabaisse is comforting, elegant, and complex in flavor.